Whether it was Water mitigation, Mold remediation, Asbestos Abatement, Fire Damage Services, or Radon Mitigation, we were there for you in 2016! We thank our customers for trusting us to help over the past year and we vow to continue to be a trusted neighbor in the years to come. We would like to thank everyone for a great 2016, we appreciate the opportunity to service you and your customers, and look forward to doing so again in 2017! 2016 sure was a busy year for us too! From our continued efforts in publishing useful and relevant information on our website and on social media to becoming a monthly contributor for Connections Magazine, we continue to share our extensive and unrivaled knowledge and experience with anyone who needs it! Our LikeLocal Program continues to grow and make opportunities available to connect local charitable organizations with local businesses for the purposes of raising much needed funds, support, and extending their visibility on social media! As well, Disaster Blaster continued to strengthened its primary objective and abilities to better service its customers with local personalized service in 2016. Unlike other mitigation and restoration firms that sign national or regional agreements with insurance company managed vendor programs that are based on a low cost/reduced service model, we have always committed ourselves to providing insureds with the highest level of personalized service. Recognizing that these managed vendor programs were no longer treating customers as a priority, we terminated our association with all managed vendor programs in 2016, allowing us to focus solely on the needs of our customers and your insureds. Our customer base and our referral sources have obviously agreed with our decisions as our sales volume continued to grow through the year. We thank you for your dedication to our services. We are proud to have introduced new and refreshed Continuing Education Courses for insurance agents which we are happy to say were very well received! Through 2016 we helped Insurance Agents by providing training to hundreds of agents. We are already at work on more courses and hope to have these ready for the Spring! In the past year we have worked hard to continue to set ourselves apart from low cost, low service, untrained "cleaning companies" who continue to attempt to perform specialized environmental & mitigation work to their detriment. We were in fact engaged on numerous occasions throughout the year to correct the errors of theses companies. As a True Indoor Environmental Expert, Disaster Blaster remains the only company able to handle the breadth of services that we provide. From Fire Damage Services, Water Damage Mitigation, and Mold Remediation to highly regulated industries such as Asbestos Abatement and Radon Mitigation and everything in between, we are truly able to handle it all, and will continue to distance ourselves from those who strive to compete with us in the coming year. 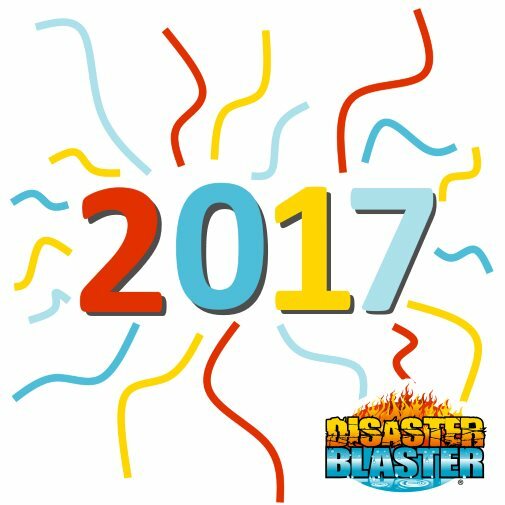 2016, as with prior years, saw some copycats, but there's only one Disaster Blaster!